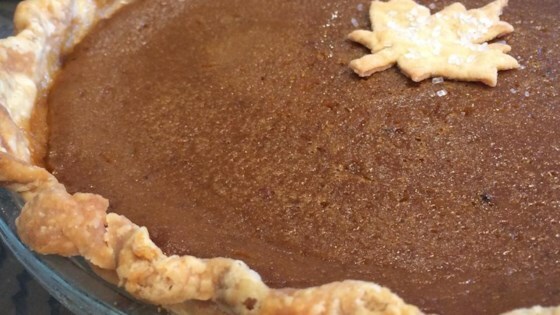 "This is the pumpkin pie that my mother has made for years. It is a rich pie with just the right amount of spices." In a large bowl, combine eggs, egg yolk, white sugar and brown sugar. Add salt, cinnamon, nutmeg, ginger and cloves. Gradually stir in milk and cream. Stir in pumpkin. Pour filling into pie shell. Bake for ten minutes in preheated oven. Reduce heat to 350 degrees F (175 degrees C), and bake for an additional 40 to 45 minutes, or until filling is set.